Established in 1925, the 3 Valleys has evolved into a year-round resort. With skiing in the winter and biking, fishing and hiking in the summer, there is plenty for everyone to do. Famed for its beautiful scenery and impressive range of resorts and facilities, this area of France is a must-see for all. 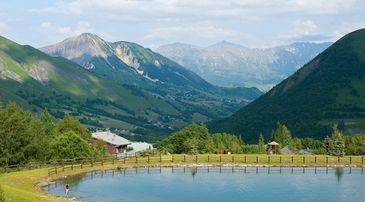 Located in the Tarentaise Valley, part of the Savoie region of France, this area was originally three separate valleys: Saint-Bon, Allues and Belleville. When it was made into one large resort, the area was interconnected through a unique system of lifts. It has since extended into a fourth valley, the Maurienne, and can be found partly in the Vanoise National Park. Ideally located to visit the charming city of Chambéry, this is the perfect base for an active holiday. 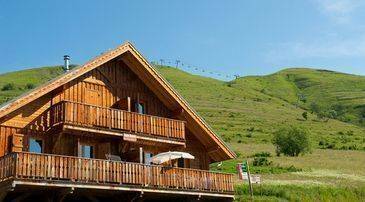 Made up of eight different resorts, from low cost accommodation to 5-star hotels, there is something for every taste and need, let Madame Vacances plan your 3 Valleys getaway today. There are plenty of outdoor activities in the 3 Valleys resort. Why not head to La Tania for the best mountain biking experience? Boasting 256km of marked paths, 16 downhill circuits and 13 round trip circuits, the 3 Valleys is perfect for bike enthusiasts. There are repair shops in the village and you can hire equipment there too if travelling with your own bike is too cumbersome. Beginners can also take biking lessons on the mountains, so there is something for everyone. With high temperatures, tree lined rivers and stunning snow-capped mountains, summer is the perfect time to go white water rafting in Courchevel. Take on the rapids of the Doron de Bozel River or try your hand at canyoning, climbing canyons and waterfalls in the Bozel valley. 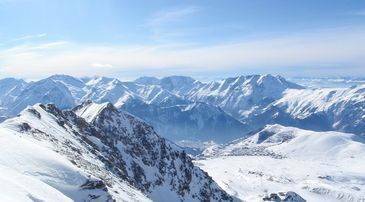 If adrenaline-fuelled sports are your ideal way to spend a holiday, why not see the 3 Valleys from the air? Try your hand at sky diving or paragliding for a bird's eye view of the Alps. Or for something less heart-racing, take a helicopter ride or try your hand at quad biking. If you prefer to spend the day indoors, there's plenty for you in the 3 Valleys. One of the main attractions is the Aquamotion Centre in Courchevel. Newly opened in December 2015, this is the largest aqua centre in the Alps, with 11 swimming pools, including plunge pools, indoor surfing, children's play pools, river rapids, aqua gyms, climbing walls, a spa, and much more, this is the place to go for an amazing day out. Parents can relax with spa treatments, massages, saunas and hot tubs, while the children enjoy a wet and wild time in the pools. With plenty of packages at reasonable prices and onsite restaurants and shops, everything you need is at your fingertips. If you prefer to explore the history and culture of the area, Saint Martin is perfect for a quieter day and retains all its traditional rural charm. Head to the church to explore and enjoy its beautiful interior, or if you want a relaxed evening why not head over to the cinema and enjoy a film? There are lots of family-friendly activities to be enjoyed in the 3 Valleys resort. Take the children geocaching and search out hidden treasure. Make like Robin Hood and have them try their hands at archery, or for a spectacular day you will never forget, book a hot air balloon ride and fly above the stunning landscape of the Valleys. With crazy golf and horse riding through the region, there's plenty to keep children young and old busy for the whole holiday. If you'd like to explore off the mountains for a day, take a trip to Chambéry, 'the crossroads to the Alps' and the historic capital of the Savoie region. Providing a 360 degree view of the Alps, why not head north to the Lac du Bourget, the largest natural lake in France, and rent a paddle boat? Explore the quaint medieval sector of the city with its beautiful architecture and narrow winding streets or explore the stunning Cathedral de Chambery. Cheap and cheerful or decadent and divine? 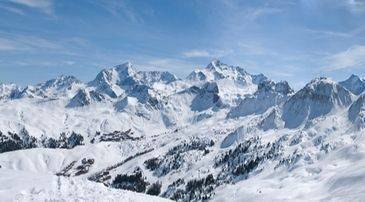 The culinary capital of the 3 Valleys is undoubtedly Courchevel. Home to over 70 restaurants and boasting seven Michelin star chefs, this is the place to go for delicious French food. If you want to indulge in the culinary luxury of the resort then Le Chabichou is the place for you. With spectacular food prepared by Michel Rochedy and Stéphane Buron, the restaurant boasts two Michelin stars. However this luxury does come at a cost, and menus start from Eu110. For a cheaper alternative head to Bouc Blanc. With friendly service and a rustic interior, this restaurant offers fantastic value and tasty food. With affordable house wine, and just Eu15 for the plat du jour, this is sure to provide you with an excellent dinner that won't have you wincing when the bill arrives. For a thriving nightlife you should head to Meribel. With plenty of pubs and clubs to choose from, this resort is the ideal place for party goers. Ronnies (Le Rondpoint) is the perfect place to dance on tables to live music. Or visit La Tsaretta for a relaxed night out mingling with the locals, good conversation, and great drinks. Once all the other bars and pubs are closed, head over to O'Sullivans. The most popular bar in Méribel to party the night away and opening at 11pm, O'Sullivans doesn't close until the small hours, so you'll be set for a fun-filled night. A Lift pass is essential in the 3 Valleys as lifts link the eight resorts and the 3 valleys together. There are a range of options available, including mountain bike passes and pedestrian. Multi-activity passes are often the best buys as these usually include various activities, such as access to swimming pools, mountain biking, ice rinks, paragliding and much more, as well as access to all the lifts. Look out for time limits on these passes as you can usually pick ones that are valid for a certain number of days or the whole season. Special family offers are also available. With many of the resorts being awarded the 'Family Plus' label, there are plenty of childcare and family facilities available. The majority of towns have a sports centre which will usually host kids' clubs so you can head off for some time alone. Leave the children with qualified staff who will keep them busy with a whole host of activities including ice skating, climbing, hiking, badminton and much more. SnowBugs Private Nanny Service are also on hand; offering a quality and friendly service they will take care of your little ones for the day, evening or just a few hours. Alpine Child Care can also link families with private nannies that match your needs exactly. 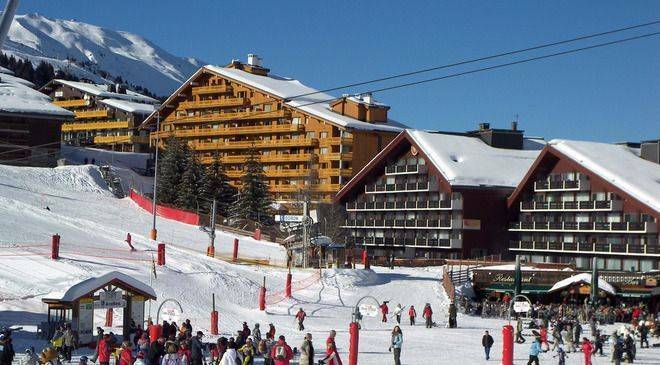 The majority of hotels in the 3 Valleys resorts have onsite parking available for guests. There are also disabled and motorhome parking facilities available and a range of indoor and outdoor car parks, depending on which of the resorts you stay in.